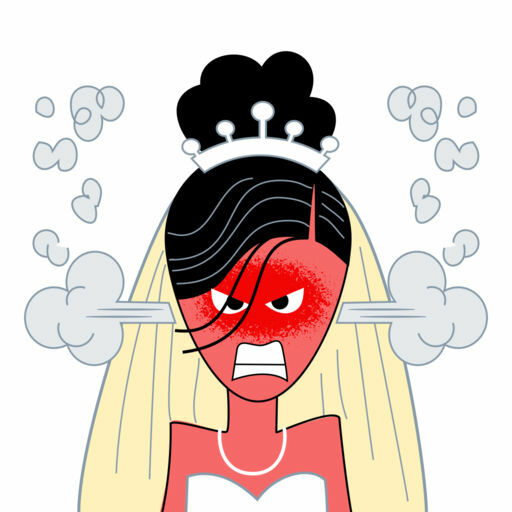 A bride literally canceled her wedding because her guests refused to help foot the bill for it. 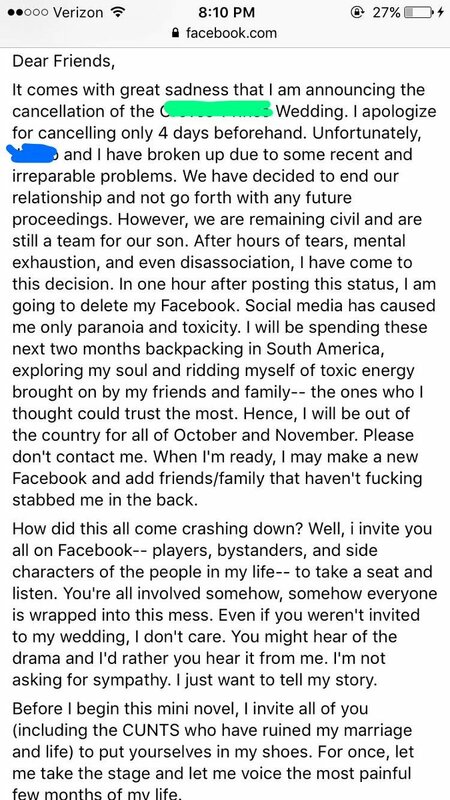 A Twitter user, @0lspicykeychain, tweeted screenshots of a status from a wedding shaming group on Facebook about a group of guests who were pissed at the bride for thinking that each of her guests were about to dish out $1,500 for her dream wedding. 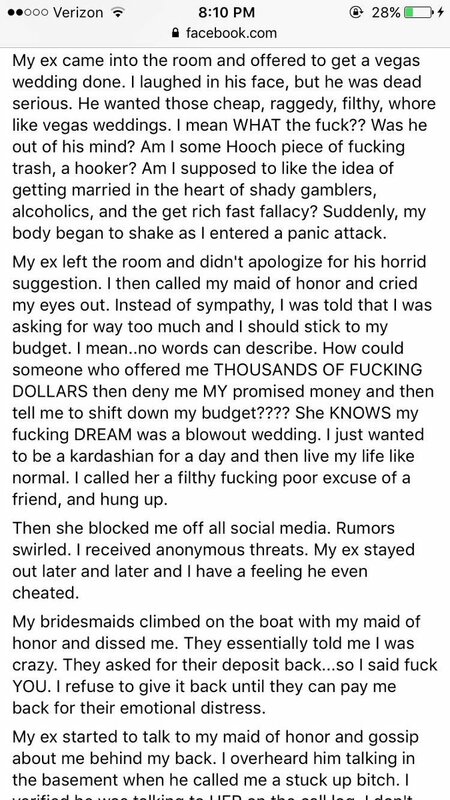 In the status, the bride explained how she and the man of her dreams met at 14 and got engaged at 18, with a nice $5,000 ring. 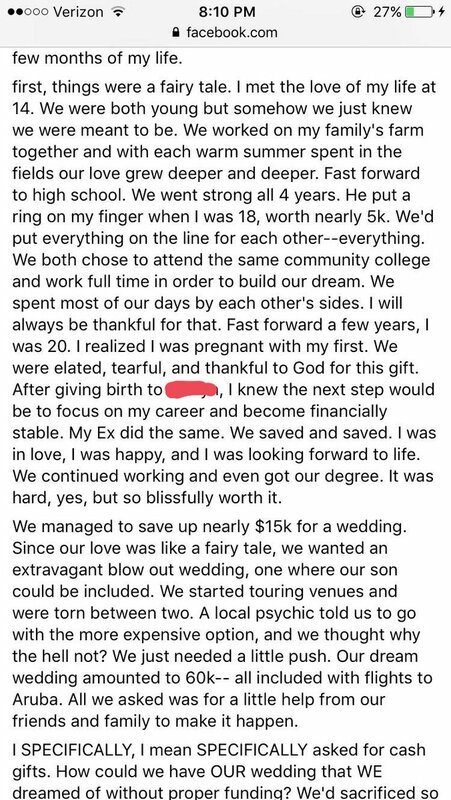 The pair ended up having a child together in their early 20s and saved up about $15k for their wedding. They soon realized that their fairytale wedding cost $60,000. "All we asked was for a little help from our friends and family to make it happen," she wrote. 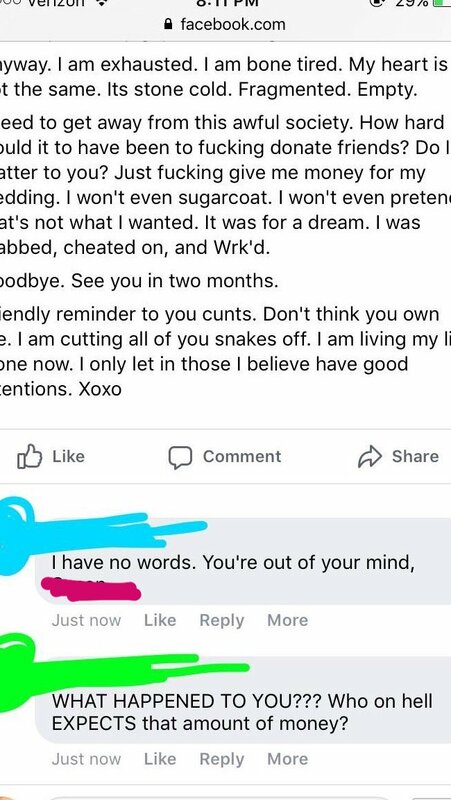 This is where the couple got crazy. 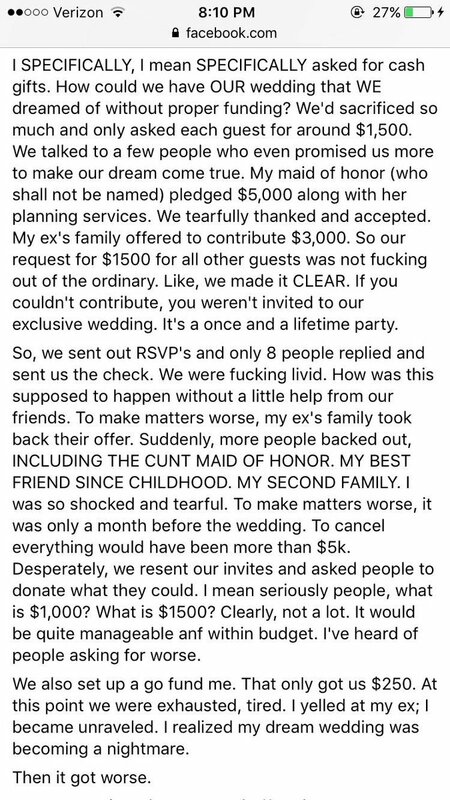 “The couple asked each wedding guest to contribute $1,500 to their wedding, along with a $5,000 pledge from the maid of honor, and a $3,000 pledge from the groom's parents "Like, we made it CLEAR.